Nearly a decade after he was acquitted of murder, Noppadol Thammawatthana re-enacts what happened to his brother in the same room of their family home. BANGKOK — In 1999, Thai Citizens’ Party MP Hangthong Thammawatthana was found in an armchair at his family mansion with a bullet in his head and revolver in his hand. Chaos erupted; suspicions flew. The Thammawatthana family – Hangthong had more than 10 siblings – had been feuding over its fortune, and some were unhappy he had been funneling it into his political career. They dragged in top forensic investigators who gave conflicting accounts of what happened. Some ruled it a suicide. Others pointed fingers at a brother, Noppadol Thammawattana, who barely avoided going to jail. The public pored over crime scene photos and came to their own conclusions. This photo from the scene of Hangthong Thammawatthana’s 1999 death raised many doubts that it could have been a suicide. Last month, a week after the 19th anniversary of Hangthong’s death, the first episode of “In Family We Trust” aired with an all-star cast and gripping opening theme – and unsettling similarities to the Thammawatthana saga. Viewers saw parallels between the fictional, hotel-owning Jira-anan clan and the Thammawatthanas, who built their fortune in Bangkok’s Ying Charoen market. Suddenly, public interest in the cold case was revived. Noppadol, the brother who prosecutors tried and failed to pin the crime on, has even spoken out about becoming public enemy No. 1 after a celebrity forensic examiner all but pinned the crime on him. In the series, Prasert Jira-anan (Songsit Roongnophakunsri) is, like Hangthong, the scion of an extended Sino-Thai clan found mysteriously dead at home – with his family members the prime suspects. Whodunit? Was it his younger sister, Passorn (Kathaleeya McIntosh), who was cut from the will? Or had his wife, Cris (Sopitnapa Choompanee), had enough of his affairs? Perhaps Prasert’s other brothers or any number of the four siblings’ children? 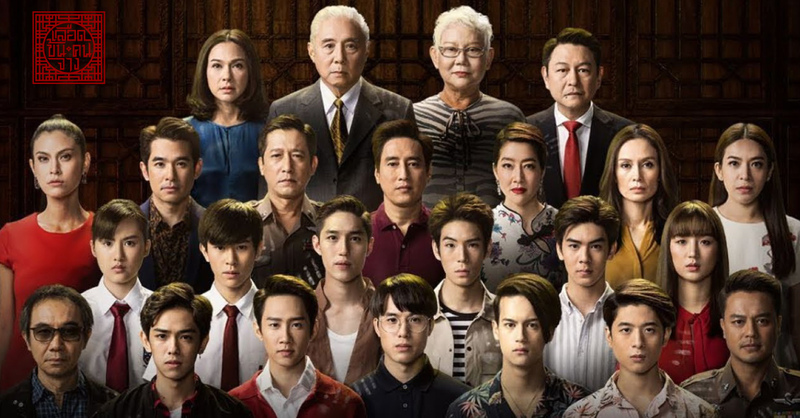 Though not dominating the ratings, the show has found a dedicated urban audience with its fidelity to Sino-Thai family culture, including patriarchal land inheritance and funerary rites. Audiences have been talking about how women are treated in traditional Chinese families, tabloid media coverage of sensational crimes and whether greed runs thicker than blood. The 18-episode series, now midway through its run, unfolds in a gripping way that parcels out bits of story in a Rashomon-style, nonlinear narrative of unreliable narrators and contradicting flashbacks that make each episode twist and turn. At its center is the financially flush but morality-challenged clan ready to avenge slights or compete for the family fortune through the barrel of a gun. The series’ director denies his show has anything to do with the Thammawatthanas, an understandable position given the way libel laws are written. Pete (Kritsanapoom Pibulsonggram) and Cris (Sopitnapa Choompanee). For his part, the man nearly convicted of murder in the real case denies even watching it. “I haven’t had time to watch any lakorn, including this one,” Noppadol told Khaosod. It wasn’t until 2010 that he was acquitted of murdering his brother following a trial. Eight years later, Noppadol, the chairman of Body Glove Thailand, has been pulled back into the limelight by reignited appetites for the grisly saga. Khaosod went to his same family home where his brother died almost two decades ago. In a four-part interview, Noppadol talked about the family drama over his mother’s inheritance and that fateful night. He even sat for photos in an identical chair from the same furniture set where his brother died. Noppadol re-enacts his brother’s death. Noppadol today seems as intent on convincing skeptics of his innocence, nearly two decades after his siblings impugned each other through paid experts. One of his sisters hired a Scottish forensic expert who, along with celebrity examiner Pornthip, suggested it was murder. With the spotlight on him as the prime suspect, Noppadol brought in an American forensic scientist who had helped exonerate O.J. Simpson. He ruled it a suicide. A scene in “In Family We Trust” where Prasert is found dead. “I filed a complaint to the Medical Council, and they took 10 years before ruling that everything Dr. Pornthip said was incorrect. All she got was a warning,” Noppadol said. He also wrote not one but three books – the “They Say … I Killed P’Hangthong” trilogy – telling his side of the story. If “In Family We Trust” were indeed a retelling of his family’s tragedy, Noppadol described how he thought it should end this time. “In Family We Trust” airs in Thai at 8:45pm on Fridays and 8:10pm on Saturdays on One 31 channel and Line TV. Reruns can be watched for free on Line TV and YouTube. Noppadol Thammawatthana talks to Khaosod. The a living room at the Thammawatthana mansion. Family portraits at the Thammawatthana mansion. Asaree Thaitrakulpanich can be reached at asaree[email protected] and followed on Twitter at @Asaree.